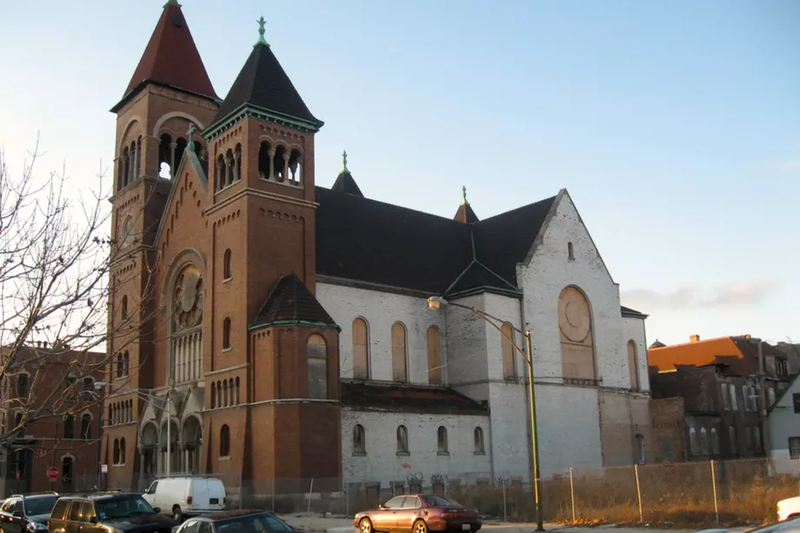 Last night, Noble Square neighbors came together for a public meeting to discuss an ambitious plan to convert St. Boniface Catholic Church into new residences and a campus for the non-profit Chicago Academy of Music (CAM). After sitting vacant for 26 years and facing demolition, the 11th hour deal to save the 1902 Henry Schlacks-designed structure from the wrecking ball was considered one of 2016’s biggest wins for Chicago architectural preservation. 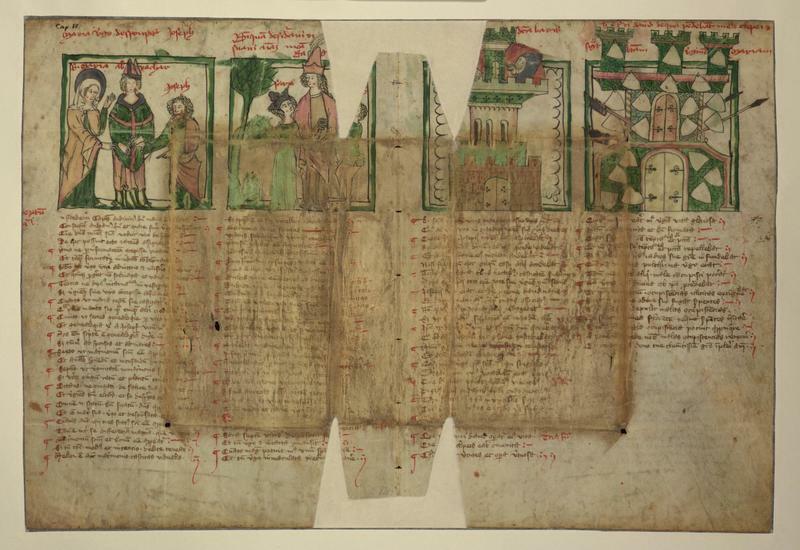 According to Fleming, the British raided Roman ruins for building materials to the extent that until the 11th century, Christian churches in Britain were constructed mostly from scavenged Roman materials. This assertion has been verified through architectural surveys, one of which discovered over 300 churches around London built from Roman ruins. 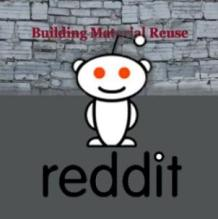 Similarly, tile, ceramics, pottery, and iron were all reclaimed and repurposed. Linc Thelen Design and Scrafano Architects transformed the long-abandoned turn-of-the-century church into a stunning contemporary family home for five. via Majestic church is transformed into a gorgeous modern family home in Chicago | Inhabitat – Sustainable Design Innovation, Eco Architecture, Green Building. Paul told The Observer: “Jim and I rescued the spire in 2011 in a moment of historic architectural empathy and probable financial madness when demolition became inevitable. “This is a one off item, very rarely available, which hasn’t been cheap to rescue, and will cost a bob or two for us to re-erect for a discerning customer. “We found lot of the history of the chapel in a time capsule under the foundation stone giving us an insight into life in Edwardian Walsall. We tracked the builders and architects, and the cost of the build which was £3,600. via Fancy buying a church spire? | Leamington Observer. In 1864, the church became the first black church in town and remained a center of religious activity for the local black community until it was removed from active use in 1994. The Town Council and staff are very interested in the community’s ideas about how this wonderful structure might be used to the benefit of the town. via Middleburg Seeking Ideas for Historic Asbury Church Adaptive Reuse – Leesburg Today Online—Daily News Coverage of Loudoun County, Leesburg, Ashburn: Middleburg Life. Ferran Vizoso Architects created a new roof for the building that gave it new life while preserving its historic presence. The roof is an enormous transparent skylight that fills the church’s interior with natural light. 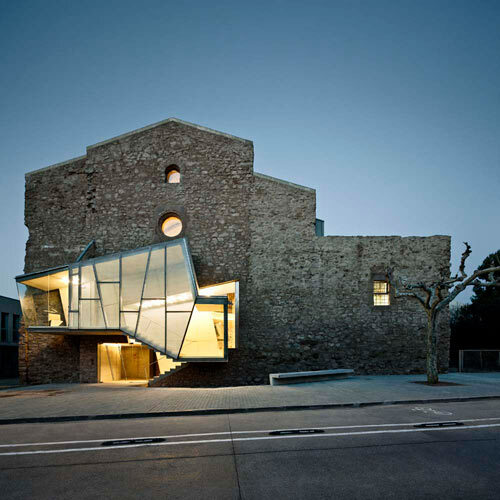 via Clear Roof Breathes New Life Into Historic Spanish Church | Designs & Ideas on Dornob. via RED BANK: GREEN SPACE RISES IN OLD CHURCH – Red Bank Green. Restaurant The Jane in Belgium’s Antwerp has gone from old chapel to fine dining venue. Piet Boon Studio carried out the conversion for Michelin-starred chef Sergio Herman’s latest venture. Chef Nick Brill from Oud Sluis restaurant in the Netherlands heads up cuisine at the new Antwerp venue. The main restaurant hosts 65 guests while an upper room bar accommodates 40.
via The Jane: divine fine dining in converted chapel – Alto Magazine. 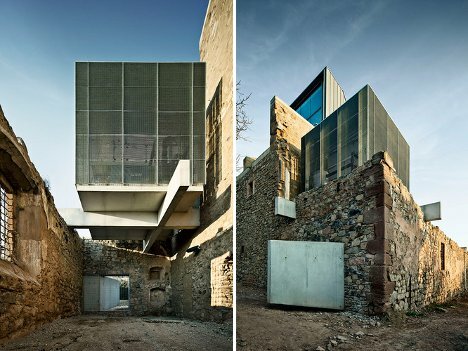 This post was originally from dezeen and their photos are spectacular – go see it there! The aestehtic of this construction essentially represents piety and humility, considering the designers used recycled wood. “The choice of such recycled wood is consistent with the poor and primitive sensibility of the chapel” says architect David Herjeczki. 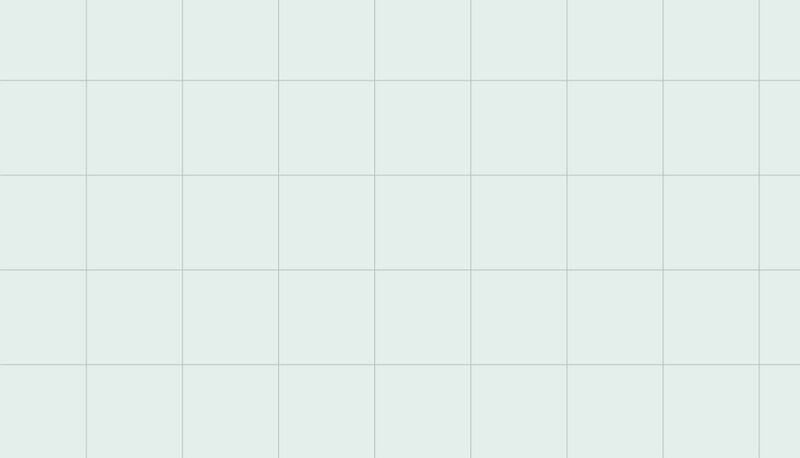 The interesting contrast of the wood with white space is visually appealing. 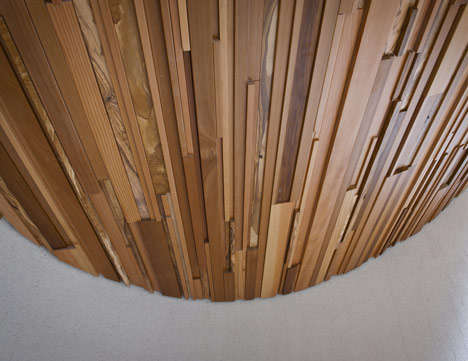 via Undulating Ceiling Chapels – The Prayer Chapel by Gensler Modernizes the Havens (GALLERY). Architects BK. 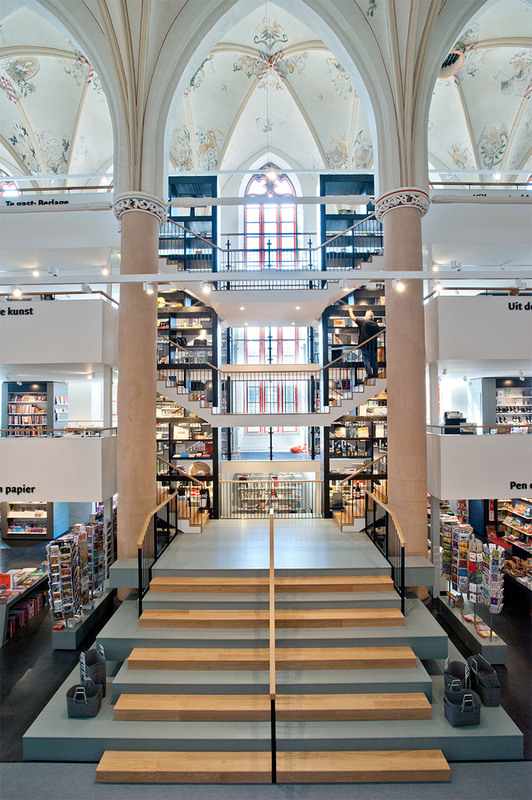 Architecten were tasked with converting this 15th century Dominican church into a modern bookstore with the addition of 700 square meters of shopping space. But there was one major catch: all the historical elements of the 547-year-old building including stained glass windows, pipe organ, ceiling paintings and expansive arches had to remain intact. via A 15th Century Cathedral Transformed into a Modern Bookstore | Colossal. The first thing a longtime resident of Durham likely will notice about SPECTRE is that it is a renovated former church. 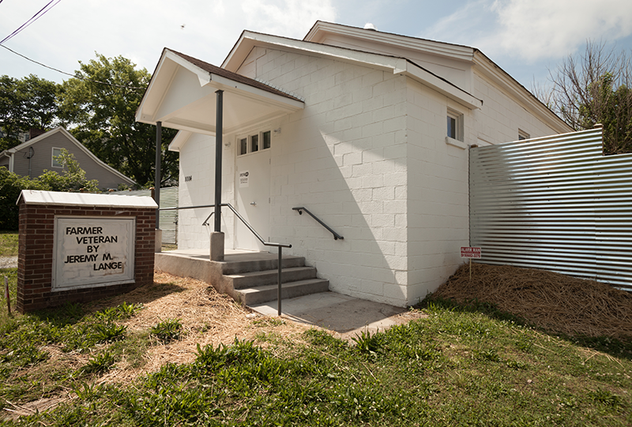 The sign that once told parishioners and visitors about services now advertises “Farmer Veteran,” an exhibit of prints by Jeremy Lange, Alicia’s husband. The front door opens into a different kind of sanctuary, a well-lighted, airy gallery space. The building also has two artists’ studios in the back, along with kitchen and other facilities for events. For the past year and a half, the Langes have been working with a construction company, gutting the walls, lowering and refurbishing the floors, and where possible finding ways to reuse the old wood from the building. via A different sanctuary: Former church now an arts-performance space | The Herald-Sun. In a nod to the history of the site, some of the maple flooring beneath the carpet will be used in the Hope Lodge construction. Habitat could not find a buyer for the copper steeple, so that will be melted down and sold. It’s hard to keep track of all the “boxes” that can be checked off on this project—from cross-sector collaboration to creative reuse, from health care to low-income housing, from corporate philanthropy to economic development. Not to mention the benefits to the surrounding community of replacing a deteriorating structure with a welcoming shelter. via Abandoned Churches and Nonprofits = Creative Reuse – NPQ – Nonprofit Quarterly. Restoring and repurposing church properties is a green initiative known as “adaptive reuse,” says Ann Gray, executive director of Cornerstones Inc., Chattanooga’s historic preservation nonprofit. “One of the interesting things about historic preservation is that they [church buildings] very much embrace the concept of adaptive reuse,” says Gray. “They were built for an original purpose; now that purpose has changed, but that building is still sound to use. “Churches were built for public community gatherings, and through adaptive reuse they are still being used for that same purpose with a twist. That’s why we accept it so easily,” Gray explains. via Empty churches in greater Chattanooga area being resurrected into new uses | timesfreepress.com. Oops. Demolition of the historic 1867 Methodist Church in downtown Platte City, Mo., on June 3, 2013. The church comes down on a vacant house next door. In the foreground at left in green shirt shown scurrying away is Jeff Bash, who owned the old church and whose company Bash Excavation, was performing the demolition. via Demolition of old church turns sacrilegious – YouTube. WebUrbanist article on Churches to Homes renovations. Churches are some of society’s most stylistically beautiful buildings. A large amount of building design comes down to functionality and affordability, so churches, built for a spiritual purpose rather than a materialistic one, tend to include elements that highlight beauty and detail. When these churches grow old, or are purchased, they can then be renovated into amazing houses that uniquely introduce religious elements into a pedestrian environment. 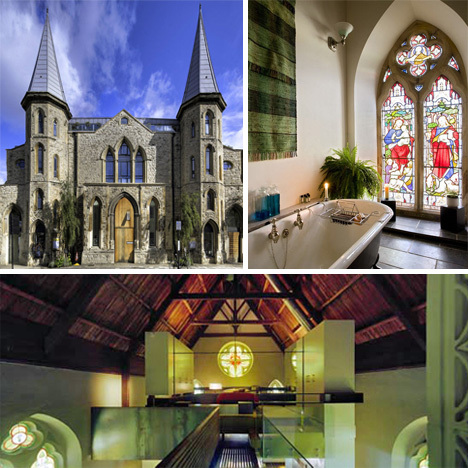 via Church Bells To Doorbells: 8 Churches Turned Into Homes (Page 1) | WebUrbanist. 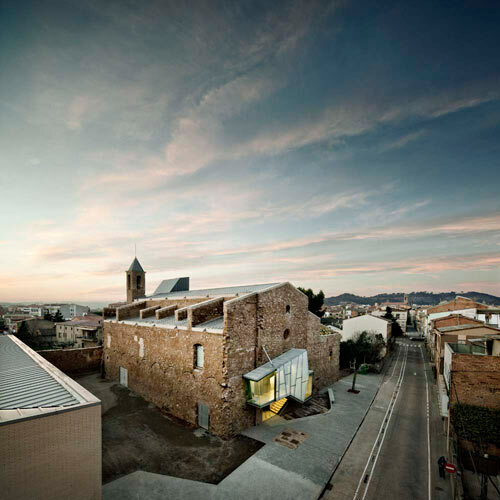 This neglected church, once part of the Sant Francesc Convent, was renovated by Catalan architect David Closes. Located in the town of Santpedor, Spain, it was the last building standing from the convent and was badly in need of repair. 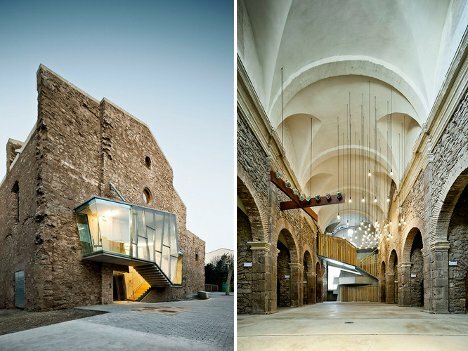 The project turned the former church into an auditorium and multifunctional space for cultural events. 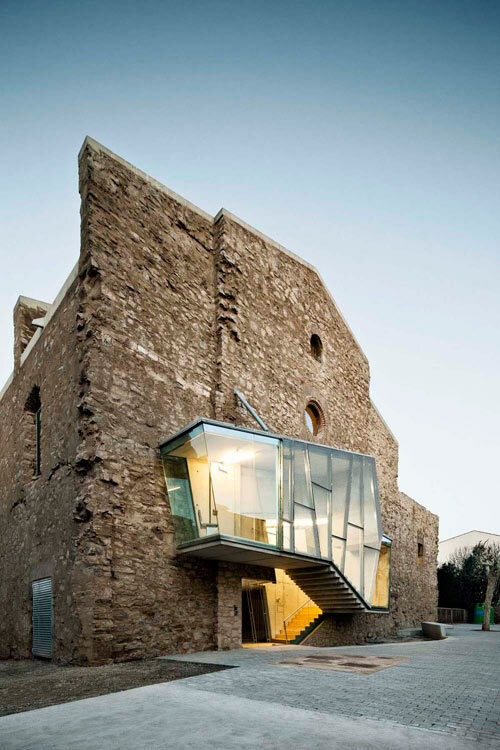 via Old-Meets-New in Modern Renovation of An Old Church – Design Milk. The issue: It’s of a home built in 1890, located kitty-corner from the Historic Courthouse. St. Paul’s Lutheran Church is requesting a demolition permit to tear down the home and replace it for green space that will be incorporated into the main church site. The Heritage Preservation Commission will discuss the proposal at tonight’s meeting. That humble home was owned by the Simonet family since 1897; and Ockwig says the church told John and Eileen Simonet it would never be torn down. St. Paul Lutheran Church’s request is under the new demolition ordinance, City Planner Mike Pogge told the Heritage Preservation Commission last month. City staff has determined that the property was a potential historic resource, therefore placing it before the HPC for review. The home is valued at $81,100 and the land is valued at $66,000, Pogge said. 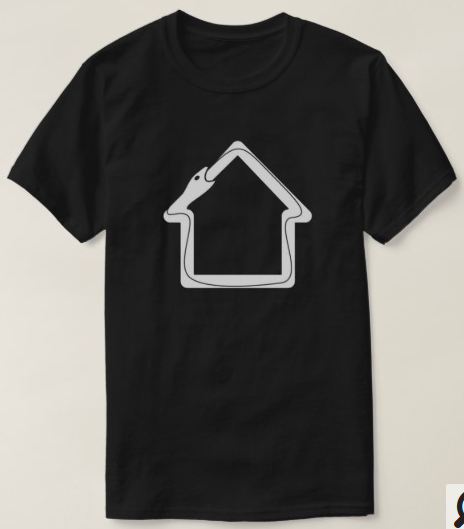 If the home were moved and the lot were sold, it would be substandard. The church considered whether or not the existing properties could be worked into the mission of the church, Shuberg said, but because the houses are no longer considered inhabitable, both houses should be demolished. “There are major structural deficiencies and the cost to renovate the house far exceeds the current value of the structure,” Kevin Urhammer, the Business Management Chair at St. Paul Lutheran Church wrote to the city. 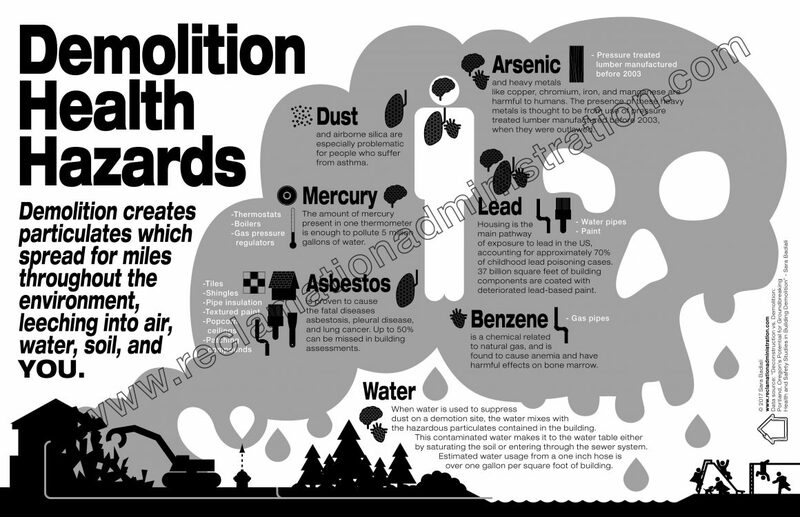 “The cost to demolish and remove the structure is considerably less than the cost to renovate. According to the meeting minutes, HPC Chairman Howard Lieberman opposes the demolition. Part of what makes Stillwater beautiful is the mix of properties—not just the lumber barons’ mansions, Lieberman told the commission. Had the properties been better maintained from the time the church bought them in 1997, he said they may not be as dilapidated as they are now. Lieberman said he believes the church’s “grand plan” may have always been to demolish the buildings through benign neglect. City staff is recommending approval of the demolition request. via 604 South Fourth Street: Preserve it or Destroy it? – Stillwater, MN Patch. Rather than bringing the building back to its former state or even simply restoring the shell and giving it a modern interior, Closes did something truly extraordinary. He plunked a new building down inside and outside of the church’s ruined shell. He used collapsed roof sections as skylights and kept some of the building’s original walls as beautiful components of a building that embraces both the past and the present. 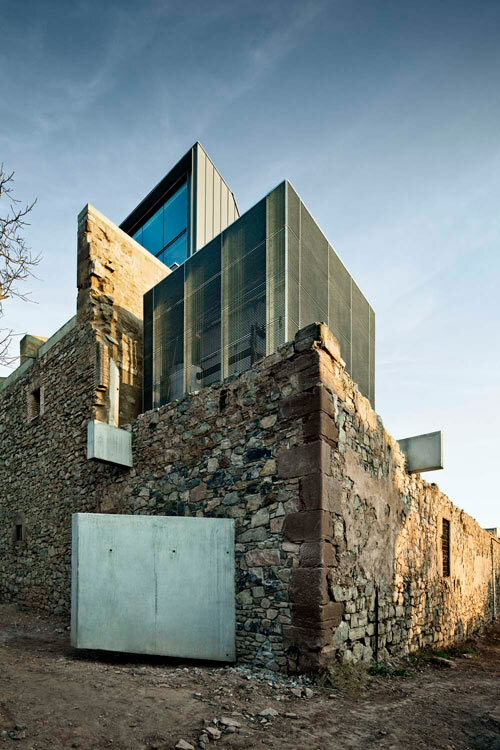 Read this article via Ancient Catalonian Church Keeps Ruins + Gains New Soul | Designs & Ideas on Dornob. Looking to hold a memory from the demolished St. Paul Lutheran Church? For $22, you could also open a beer with it. Last year, Reclaimed Cleveland — a company specializing in repurposing wood from historic structures — salvaged materials from the demolition sites of the St. Paul Lutheran Church as well as the building that housed the Westwood Dry Cleaners. The property is now the site of the new CVS Pharmacy. Some of the salvaged wood can be found in items for sale at Green Smart Gifts on Detroit Avenue. They include bottle openers made from the wood of the church’s floor joists and mirrors made from the wood in the Westwood Dry Cleaners. Each item is stamped with a marker of where the lumber came from. Aaron Gogolin, who attended the school at the church nearly 30 years ago, has made a successful career out of repurposing wood from demolished structures. Donna Witmer, the co-owner of Green Smart Gifts, said that in order for items to be sold at her store, they need to be locally made, organic, non-toxic, fairly traded, recycled or a tool of change. Gogolin, who started out his career building new homes, said there’s too much waste in new development. His company typically builds chairs and tables out of repurposed lumber, but he says this project was special. 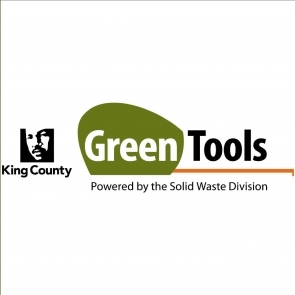 “We’re trying to save some of this lumber that otherwise would just thrown into a landfill,” he said. via Repurposing, Selling a Piece of Lakewood’s History – Lakewood, OH Patch. A 91-year-old stately brown-brick Downtown church building, which had been a longtime gathering place for African-Americans, has a chance to avoid demolition. That is, if someone with plenty of money and an idea for reuse of the deteriorating structure comes forward next year. Located in the Flanner House Homes historic district, the building at 1226 Dr. Martin Luther King Jr. St. was scheduled to be demolished in September to make way for parking for Crispus Attucks Medical Magnet High School, a short distance to the south. Indianapolis Public Schools purchased the building with the four towering white columns at its entrance — and some adjacent land — in January for $319,000. However, IPS Superintendent Eugene White and his administration recently accepted a request from Indiana Landmarks to give preservationists until December 2012 to try to save the building by finding a buyer willing to rehabilitate it. A progress report on the search will be given to White in about six months, said Mark Dollase, Indiana Landmarks’ vice president of preservation services. “There are few buildings left in the city built by African-Americans for African-Americans,” Dollase said, citing losses due in particular to redevelopment in the heart of the city.